This conservation resource was created by Jack, Chris, Macadam and Sean. While in the short run, pesticides seem very beneficial for agriculture including crop life and dealing with unwanted or invading vegetation, after closer inspection at the effects on plant, animal, and human life, it becomes very clear that the negative effects such as extreme illness or death, heavily outweigh the positive effects. Pesticides are very common in agriculture today, most commonly used to protect crops from widespread disease and pests. As a result, humans have enjoyed the benefits a healthy crops with and lack of poor harvesting seasons. When humans started farming in Mesopotamia 10,000 years ago pesticides were not commonly used. The first evidence of pesticide use was about 4,500 years ago by the Sumerians and 3,200 years ago in China. One way of removing pests and insects was burning smoky materials up-wind from the crops and smoking out the organisms within the crops. Most of these pesticides were organic and most likely did not have a very large effect on human health, which is not the case in today’s society. Research of developing nations has now shown how much of an issue some pesticides can be and individuals in developing nations across the globe are now suffering because of the toxins in this agricultural tool. Today pesticides are used across the world in all types of communities. From top agriculture companies in North America such as Bayer or BASF, to small farms in Africa, pesticides are used to control plant diseases and pests from decimating crops as well as remove any unwanted vegetation. The health hazards could potentially be slimmer if it was not for the duration that the population is exposed to the chemicals. Since pesticides are so commonly used, there is constant exposure of the harmful effects. This over exposure can result in major health concerns and even death in some cases. There are many ways people can be exposed: chemical residues in food and water, chemicals blown into public areas by the wind, working in the agriculture or pesticide industry, or direct ingestion of the harmful chemicals. As a result, many pesticides have been directly linked to multiple forms of cancer, Non-Hodgkin’s Lymphoma, Parkinson’s Disease, and have been shown to have strong effects on the nervous system. The amount of cases of Non-Hodgkin’s Lymphoma had been shown to double in rural areas in some studies. Due to the fact that these chemicals can affect anyone, the location of this issue is the entire Earth, but more specifically, the areas within and in close proximity to the use of pesticides. This includes farms, residential neighbourhoods, parks, and any other location where humans reside. As for the “winners” and “losers”, technically that would make every human being a loser in this scenario, but when looking in the short-term, the individuals positively affected using pesticides are the companies that create and sell these products since they are the ones financially benefitting from this issue. That being said, since the pesticides are used to benefit the crops, which in turn are used to feed people, the exact outcome of this situation is not all that clear. Although individuals are being negatively affected due to health concerns, they are also benefitting because the crops are lasting longer, making this a bit of a grey area. Without pesticides, crop-life would be significantly worse and with an expanding global population, pesticides are crucial in maintaining the vast amounts of food being and other organic products being served to the public on a daily basis. While these chemicals can increase their productivity every year, it can also cause long term health problems for them and for the ecosystems around where they live. Additional people that are negatively affected consist of those people that live around farms that use pesticides and people that use pesticides in their own gardens. Without more control on pesticides and more knowledge released about them, the winners will probably be the large companies releasing the chemicals because there is no reason for people to stop using them if they do not know what is wrong with the use of them. In reality though, there are no “winners” when consumers of a company’s product are dying as a direct result of the chemicals used due to insufficient information made available. Therefore, government intervention is necessary to help provide resources and restrictions to help eliminate this issue entirely. Goals and agenda of other relevant actors involved and/or impacted? Alternative ways to frame the problem? Special expertise, resources, or theoretical orientations that may inform a more comprehensive understanding of the issue at hand? Throughout the previous decades, pesticide poisoning has posed a large health concern to those living in developing nations within the rural areas of the global South. Since pesticides are a common occurrence in these agricultural regions, many have turned to them as a form of suicide. This growing issue has resulted in many scholarly institutions choosing to report on this problem. For example, in an article published by Tropical Medicine and International Health, researchers in the Warangal district in Andhra Pradesh, Southern India, stated that in the six years between 1997 and 2002, approximately eight-thousand patients were admitted to the hospital with 22% of them dying as a result of pesticide poisoning. This article proves its relevance to this matter because of the detailed statistics obtained through extensive research. The study provided information such as the number of patients admitted to the hospital, the fatality rate, and the underlying cause of their admittance. In addition to this, the reliability of this article is backed-up by many reputable sources from across the globe, such as the World Health Organization, Ministry of Agriculture in India and the American Academy of clinical Toxicology, which can all be located in the reference section of the article. Furthermore, the article recommends that additional resources be needed in the form of additional personnel, training, medical supplies, etc. in order to see if a reduction in the mortality rate will occur. Overall, the general feel of the article remained unbiased due to the fact that the article did not slack the Indian government for not having the amount of resources needed to combat the problem. Rather it was inferred that they came across as sympathetic to the problem because it is very difficult to get resources to the remote locations in rural India. As discussed earlier, pesticide poisoning can manifest itself within the body from two different types of exposures. These two types of poisoning, acute and chronic, can have a wide range of effects on the body ranging from less severe (i.e. headaches) to very severe and even life threatening. It is not surprising that pesticides used to be the preferred method of choice for suicide based on the extremely dangerous affects on the body. Acute poisoning is acquired from a single, large exposure to pesticides. Chronic poisoning is acquired through repeated, smaller exposures. Both can have varying degrees of severity however chronic poisoning will create longer term effects that are generally more gradual to have any noticeable affects on the body. The type of exposure to pesticides can determine the symptoms however different pesticides can also have specific symptoms associated with them. Accidental ingestion of pesticides at home, consumption of pesticide contaminated food, or even exposure to pesticides applied to homes or lawns can all be methods of acquiring acute pesticide poisoning. In the developed countries of the West, we are able to combat many of the immediate effects of acute pesticide poisoning as it occurs only from one single exposure. This is not often the case in the developing countries of the world. Acute pesticide poisoning can affect the eyes through simple tearing, irritation and even conjunctivitis (often times referred to as “pink eye”). It can affect the skin through rashes, blistering, burns, jaundice, etc. The issues start to become more serious when we look at the affects that acute pesticide poisoning has on the human nervous system. Symptoms of the nervous system being affected include headache, dizziness, mood swings, depression, stupor, seizures, paralysis, loss of consciousness and even comas. Affects on the respiratory system include sore throats, coughing, pulmonary edema and in severe cases respiratory failure. This is just a list of some of the more common symptoms however the list is far more extensive. One issue that was made apparent by the David Suzuki Foundation has to do with when chemical sensitivities and pesticide poisoning mix. According to the foundation, 2.4% of Canadians have multiple chemical sensitivities. This makes up approximately 640 000 people within Canada who are hypersensitive to multiple chemicals. These numbers are estimated to be higher in many other countries, especially those that are still developing. Being hypersensitive to chemicals can have a major impact on how pesticides affect your body, often times increasing the severity of symptoms. Chronic pesticide poisoning has a massive amount of health effects that often take longer amounts of time to manifest themselves. These health effects have major potential, but are not quite as direct as an acute poisoning. Some major studies have been conducted to find out some of these longer term affects on people and the results are grim. Chronic pesticide poisoning can increase the risk of cancer, cause neurological impairment, create developmental effects in offspring (i.e. autism), birth defects, organ damage and cause interference with the human hormone system. A study published in the 2006 Annals of Neurology found that there was a very strong relationship between continuous pesticide exposure and Parkinson’s disease. The study found that “exposure to pesticides- even at low levels- increased the likelihood that an individual would suffer from Parkinson’s disease by 70% compared to individuals not exposed to pesticides”. Cornell University’s article Symptoms of Pesticide Poisoning in 2012 speaks on some of the effects of the common pesticides we see on the market around the world and the dangers associated with them. For example, a common product in North America is Weed-B-GonTM. This product is a Chloro-phenoxy Pesticide that is a commonly used pesticide. It is known to have damaging effects on the liver, kidneys, and nervous system as well as lung and stomach function. When consumed the acute pesticide poisoning can cause vomiting, burning sensations within the stomach, gastrointestinal distress (i.e. diarrhea), and even muscle twitching. This pesticide is lucky to not stay within the body for very long which means it does not have chronic affects when compared to other chemicals. Other pesticide chemicals like Phenylmercuric Salts (common in AgrosanTM) can cause acute effects like delirium or lack of coordination but these effects can become permanent with chronic exposure. In North America, selling and use of many pesticides requires permits, training and protection which can often times reduce the health effects that occur. That is not the case in many countries in the developing world where farmers can go and buy some of the most hazardous chemicals right off of the shelf without any training or knowledge of some of the major effects it can have. Many agricultural workers in developing countries are exposed to large amounts of pesticides on a daily basis, often without any personal safety equipment due to high costs and the impracticality of wearing excess clothing in hot and humid climates. Exposure is usually improperly taken care of, as the warning labels are written in foreign languages, the supplies to treat exposure to pesticides are scarce, and employees are usually expendable by whomever is employing these workers. In certain regions, such as Sri Lanka, the fatality for pesticide poisoning cases can reach over 50% because of the lack of doctors, available antidotes, and proper procedures to follow. In Malaysia, the fatality rate for pesticide poisoning in a rural hospital is 50%, compared to 1% in a university hospital. This lack of proper procedure is most prominent with the debate of the effectiveness of oximes as a remedy; oximes are the standard for the treatment of pesticide poisoning, but studies have found little effectiveness in the drug for preventing a death due to pesticide poisoning. More often than not, patients are harmed by the oximes when administered, but a few notable cases have shown positive outcomes. Poisoning can both occur from ingestion, irritating the stomach and abdominal regions first, or skin contact, irritating both the abdominal and respiratory region at approximately the same time. True numbers of how many people are affected by pesticide poisoning in rural areas are often unknown, as many people who suffer non-lethal cases do not go to the hospital, as the money and time needed for these farm workers to acquire healthcare is not feasible for a non-fatal illness. The most common method of suicide in the world used to be self-inflicted pesticide poisoning, accounting for one-third of all suicides. This is due to the availability and toxic nature of these substances. Using data from 1985, 2.9 million cases of acute pesticide poisoning were found in developing nations, resulting in approximately 220,000 deaths. Moreover, in certain rural areas in China where the quality of life is subpar and the ease of access of these pesticides is high, over 60% of suicides occurred from intentional pesticide ingestion, with pesticides being used in over 77% of low planning suicides. In Campinas, Brazil, between 2002-2004, pesticides were the reason for 18% of male and 8% of female self harm hospitalizations, . This could be due to the fact that males make up a larger demographic in the agricultural sector of Brazil, meaning that it would be easier for them to acquire the pesticides. In Malawi, a poor African country, pesticides accounted for more than 80% of suicides. Recently, a study done in Taiwan found that there was a 67% reduction of pesticide self poisoning from 1987 to 2010, this reduction could easily be explained by a 66% reduction in the agricultural workforce of Taiwan. Moreover, the government of Taiwan banned certain pesticides that were the “full strength” versions, while leaving both the most abused pesticides, such as Paraquat, and the weaker versions of the banned pesticides on the market. 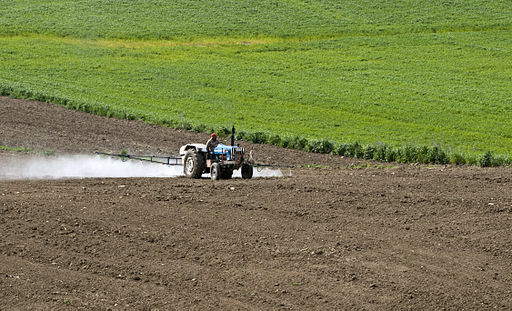 While much work is still needed to improve the life expectancy and welfare of these workers, some procedures have started to take place to help prevent the action of self abuse using these pesticides. Sri Lanka, for example, has had some farmers implement a double lock box for pesticides, forcing a third party to be present when accessing these pesticides. This approach is still being researched to fully understand the feasibility and effectiveness. Overall, pesticide poisoning in the global South poses an extreme health concern to individuals due to its availability and high chance of death or illness. If no immediate action on this issue takes place, unnecessary deaths and emergency room visits will continue to occur in the global south. In order to combat this problem, there has to be more information on pesticides made available to all of those who choose to use it. This may include, mandatory information sessions on the proper uses and dangers of the agricultural tool and increased labelling of the safety risks on the packaging, similar to advertising already seen on tobacco products. This way, individuals using the product will have a smaller margin of error when using pesticides as a result of their increase in knowledge. In addition to this, more restrictions need to be put in place to those buying the product. Part of the reason pesticide poisoning in the global South is such a large issue, is due to the fact that it is very easy to obtain. With more restrictions on this product, it would be a safer product with less toxic chemicals, potentially resulting in fewer deaths and hospital visits due to poisoning. One of the main reasons this problem is present in developing nations in the global South is because the ingredients used to make the pesticides are much more harmful. With safer products already made available to farmers in developed nations, it is crucial that these safer products be made available to everyone and not just those in developed nations. Therefore, government intervention is needed to completely eradicate this issue. With government intervention, guidelines that are consistent throughout the nation can be made so that restrictions on the product are clear and understood. Government run, mandatory informational meetings will result in more knowledgeable farmers applying the product correctly. Finally, subsidizing the cost of a safer alternative will result in the health hazards associated with pesticides to be non-existent. ↑ Unsworth, John. "History Of Pesticide Use". IUPAC. N.p., 2017. Web. 3 Apr. 2017. ↑ Alevanja, Michael, Jane Hoppin, and Freya Kamel. "Health Effects Of Chronic Pesticide Exposure: Cancer And Neurotoxicity". Annual Review of Public Health. N.p., 2004. Web. 3 Apr. 2017. ↑ Eddleston, L. M., N. Karalliedde, R. Buckley, G. Fernando, and G. Hutchinson. "Pesticide Poisoning in the Developing World—a Minimum Pesticides List." Lancet 12 Oct. 2002: 1163-1167. Elsevier. Web. ↑ Prevention of Deaths from Intentional Pesticide Poisoning." Crisis: The Journal of Crisis Intervention and Suicide Prevention. Vol. 28. Germany: Hogrefe & Huber, 2007. 10-20. Print. ↑ Aktar MW, Sengupta D, Chowdhury A. Impact of pesticides use in agriculture: their benefits and hazards. Interdisciplinary Toxicology. 2009;2(1):1-12. doi:10.2478/v10102-009-0001-7. ↑ Fleischmann, A., Bertolote, J. M., de Leo, D., et al (2005) Characteristics of attempted suicides seen in emergency-care settings of general hospitals in eight low- and middle-income countries. Psychological Medicine, 35, 1467 -1474. ↑ Dzamalala, C. P., Milner, D. A. & Liomba, N. G. (2006) Suicide in Blantyre, Malawi (2000-2003). Journal of Clinical Forensic Medicine, 13, 65-69. ↑ Jeong Mi Moon, Byeong Jo Chun, Yong Soo Cho. (2016) The characteristics of emergency department presentations related to acute herbicide or insecticide poisoning in South Korea between 2011 and 2014. Journal of Toxicology and Environmental Health, Part A 79:11, pages 466-476. Web.